After a disagreement between Cult of Lucifuge and Temple Apophis leaves Jacob defenseless and he discovers Marbas’ remnants of a curse, he seeks protection from Lucifer’s Haven. 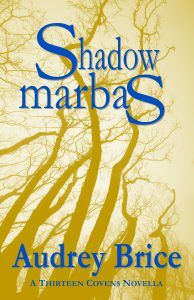 Shadow Marbas, however, won’t be denied. Either Jacob is theirs, or he dies. There is no in-between. This entry was posted in Audrey Brice, e-books, new releases, news, Updates and tagged coven, demonology, fiction, genii, Marbas, occult, witches by Steph. Bookmark the permalink.